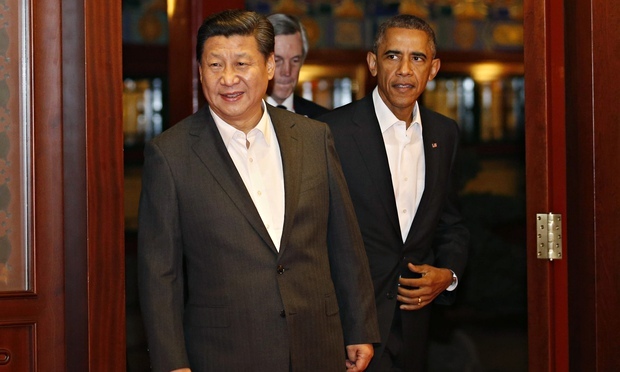 Barack Obama and Xi Jinping wrapped up meetings with world leaders in Beijing (APEC) and Australia (G20). Both announced funds for reconstruction, loans, development and humanitarian aid to nations across the region. In on calculation by Australian National University, China pledged a total of US$70 billion in a two-week period. 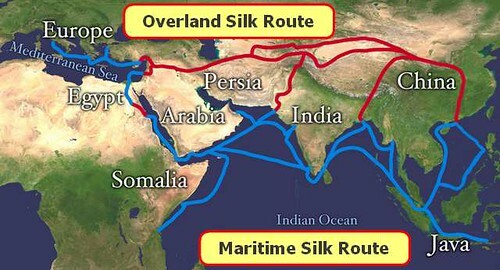 The largest sum was US$40 billion in loans for the development of a Maritime Silk Road across Asia-Pacific to better connect with Europe. This means the construction of massive ports able to handle the largest ships as they travel the historic trade routs from the Far East to the developed West. In comparison to Xi Jinping, Barrack Obama looked miserly. While Mom always said money doesn’t buy friends, Mom wasn’t a politician. Having deep pockets when neighbouring countries are in need buys a lot of influence. And China has cash. The USA holds foreign reserves of US$136 billion. China golds US$4 trillion. (Source: Wikipedia) That means China has cash reserves 29 times larger than the USA. And while the economy of China may be slowing, it remains healthy as it moves from a core of manufacturing up the skills index into a higher service-based economy. It has plenty of growth ahead. Thankfully the USA economy is continuing to improve. However the long road back from the 2007 financial crisis has left the coffers drained. The US government needs its cash for the domestic economy. China has plenty for home and abroad. Remember those rainy days as children when you were on top of the world as the richest man in the game of Monopoly? Didn’t it feel great to count (and recount) your growing pile of $500 bills? You were China today. Then there were the days you couldn’t catch a break. Inheritance tax? Utility payments? Rent then mortgages…jail felt like a relief! It’s always foolish to underestimate the political power of the USA, however its ability to spread the cash is limited after a large number of bills. In Asia-Pacific, China is the banker and the emerging country’s best, new friend (sorry Mom).